Now that the weather is getting colder, it’s time to think about keeping warm. Knot, Smile & Cuddle is the perfect solution! 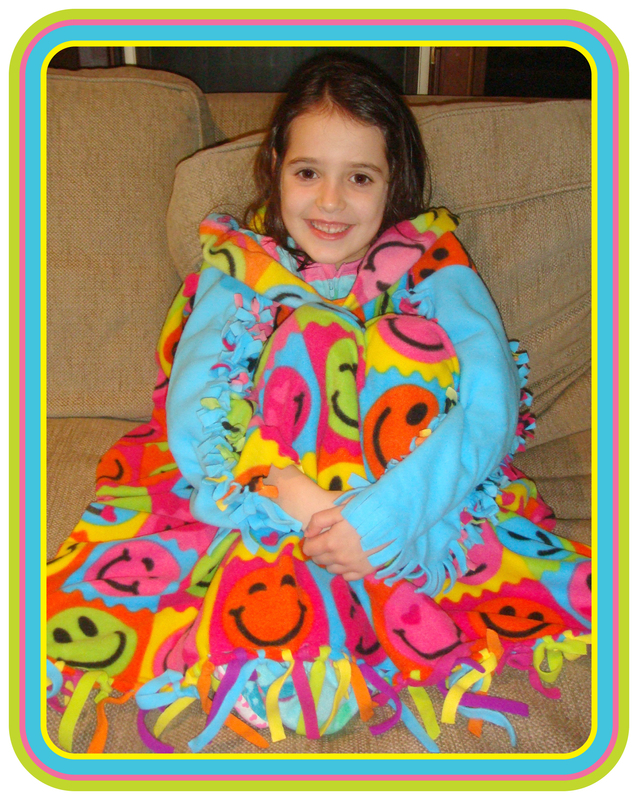 This wearable blanket is “knot” only adorable, it is super soft and easy to make, too! Our 7-year-old friend Chana came over to try it out!